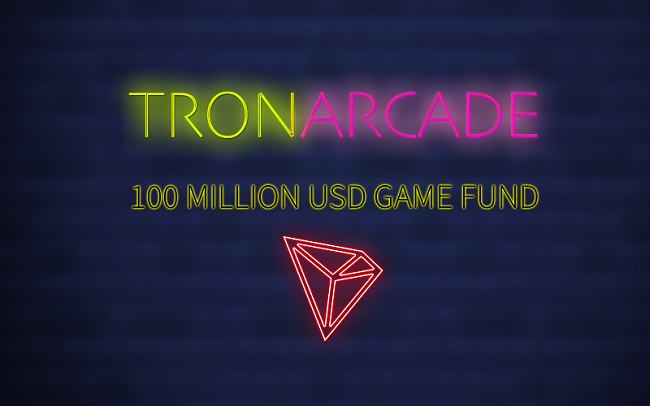 Decentralized internet protocol TRON has announced its plans to establish a blockchain game fund, called “TRON Arcade”. The company plans to invest up to $100 million for the next three years in the project, which aims to build the foundation of a robust blockchain game ecosystem. “The main goal of the fund is to empower developers to create and execute on their ideas, to introduce new games and content into an autonomous ecosystem, and to build a strong community of content and entertainment,” TRON said. The company believes that the unique advantages offered by blockchain technology such as immutability, security, and the ability to activate decentralization, will create more room for imagination in the gaming industry. “TRON strives to tackle existing issues faced by the gaming industry by leveraging the open, transparent, and immutability of blockchain technology. TRON Arcade will play a crucial role in encouraging developers to join in our mission and provide the best blockchain gaming experience to users around the world,” Justin Sun, TRON Founder & CEO, said. TRON said that it is expanding its footprint in a number of other industries such as charity, enterprise solutions, consumer internet, social media, and entertainment. Earlier this year, it acquired BitTorrent, the world’s largest peer-to-peer file sharing protocol. Project Atlas will combine the BitTorrent protocol with the power of blockchain to create a token economy that will optimize content distribution and empower content creators.